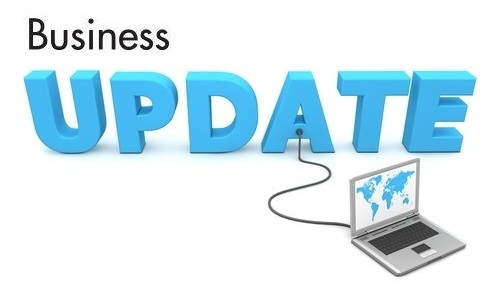 What are business updates? They could be updates to your product catalog. Or changes in prices. Perhaps you have a blog and you want to highlight the good performance of a particular employee. Maybe you’re changing location. Perhaps you have special holiday pricing during a certain time period. These are business updates. But how do you get these updates out into the world and into mass consciousness? In a simple phrase – through blogs and social media. And some tried and true methods to do this in the modern business culture include putting out blog updates on business website pages, using Twitter accounts and hashtags, learning to create Facebook ads using Facebook Ad agency, creating social media funnels, and linking to relevant resources. If you have a business website, simply create a blog section. Then every time you have something that you want to highlight, simply post it. People who are subscribed to your site will automatically get notified, and if you add share buttons to the page, then anyone has the opportunity to give a button a single click and it will be sent to their social media platform of choice as well. And once you have things posted on your business blog, you can link to it via your Twitter account, and once you learn how to use Twitter hashtags, you can even get some exposure from people who aren’t directly following you. This is one of the great benefits of Twitter – the fact that people can search by these hashtag indicators in real time. Your business can benefit directly from that capability, without any extra work on your part. Starting a Facebook group is another good way to use social media to give business updates. And groups are slightly different than business pages on that particular site. Groups can be much more open to discussion and encouraging folks to discuss and give feedback, where pages are more interested in just the output aspect of the arrangement. One thing that many people get caught up in when it comes to business updates in particular, is that they view each social media platform as a separate entity. However, if you think of them all as a funnel, a more cohesive pattern will emerge. In other words, if all of your social media links and hits point to the same central area, that’s where you want to have your business selling points. And the final way to give your business updates is by linking to other relevant sources organically within your own posts. In other words, if you know of a product related but not competing with yours, if you link to that site along with giving updates about how it would be useful in conjunction with your product, then everyone wins!